H.264 streaming and recording simultaneously. Dual colour LED indicator showing the status or the detections. NVS-33 is a small, easy-to-use video streaming and recording appliance designed for professional video producers who need to simultaneously stream a live event and record the master quality version for post-event editing. 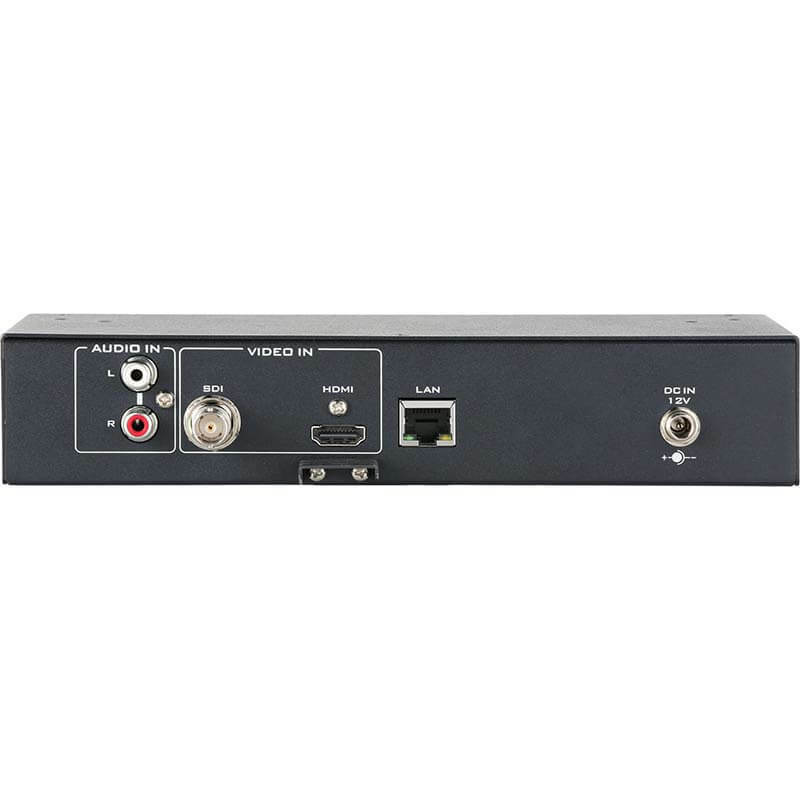 The NVS-33 is able to configure two different bitrates for recording and streaming simultaneously. It supports SDI and HDMI inputs, as well as external audio RCA unbalanced input. The NVS-33 is remotely controlled using a Windows / Apple PC or mobile device with a web browser. The file system could be NTFS, FAT or exFAT to keep the continuous recording without file size limitation. Flexible mechanism design that is fit for a desktop application or 1U rackmount application. Datavideo’s stand was packed with visitors and new kit at this year’s NAB. Innovations include: PTC-140 SDI/HDMI camera at an incredible price. The picture quality is really good at full HD 50p. The camera also supports H.264/H.265 video compression and dual stream output over Ethernet. RMC-300 is a new powerful 24-camera PTZ controller with tablet interface. It offers 14 presets per camera to support every kind of production. HS-1600T HDBaseT Streaming Studio: 4 input switcher with built-in camera control, recording and streaming. It makes a great workflow with the PTC-140T HD PTZ camera. 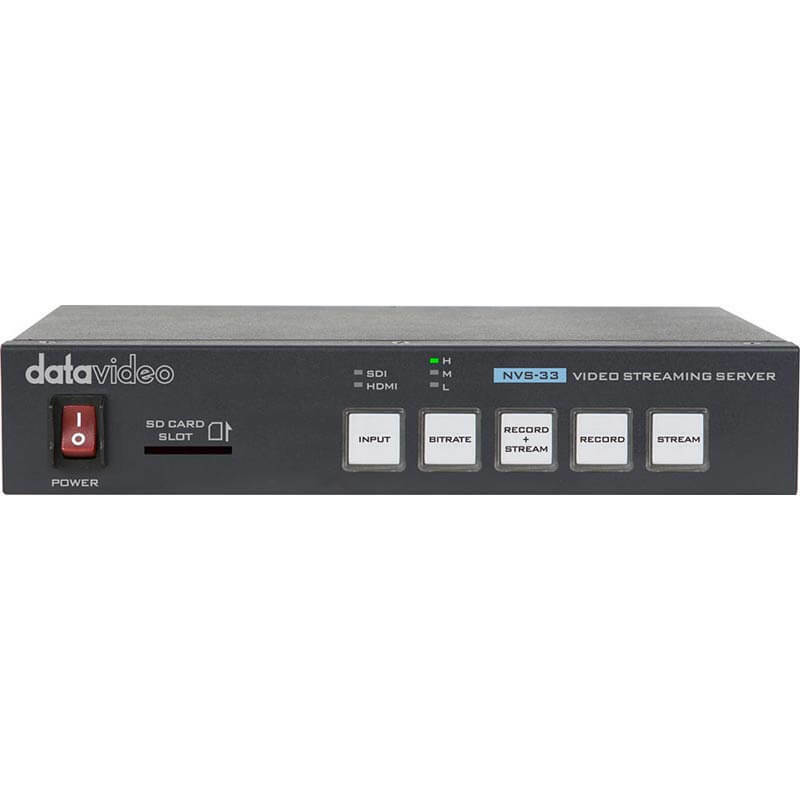 NVS-33 standalone streaming / SD recording device, giving you independent control over quality and bitrates. It’s very affordable and exceptionally easy to use.